Time will go faster with the Casa Uno's range of Clocks. These stylish clocks will be a stylish addition to your home that will be sure to leave an impression. So highlight your home with this practical and decorative feature. Please note clocks not to scale in lifestyle image and are only for inspirational purposes. Please refer to product dimensions for sizing. 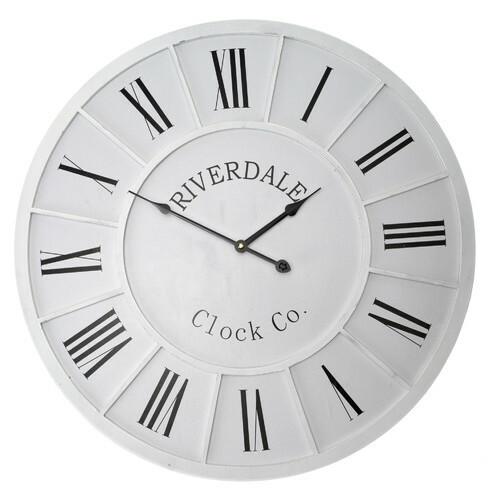 The 60cm Riverdale Rod Wall Clock is a Contemporary style product. Contemporary style bridges the gap between traditional and modern. Pieces feature simple and clean lines with smooth surfaces without any carving or adornment. You can shop for more Contemporary Clocks in the Décor section of our site. 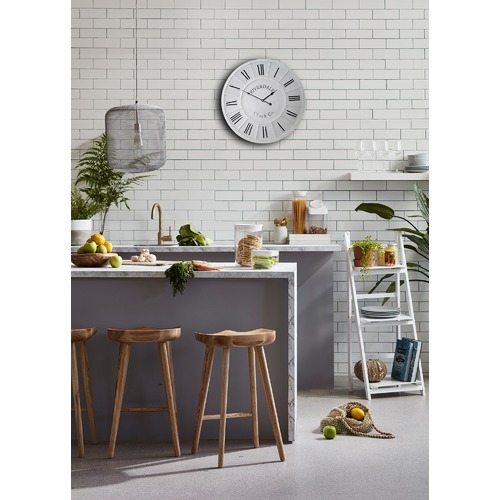 When you buy a 60cm Riverdale Rod Wall Clock online from Temple & Webster in Australia, we make it as easy as possible for you to find out when your product will be delivered to your home in Melbourne, Sydney or any major city. You can check on a delivery estimate for the Lifestyle Traders Part #: ME15 here. If you have any questions about your purchase or any other Clocks product for sale our customer service representatives are available to help.Whether you just want to buy a 60cm Riverdale Rod Wall Clock or shop for your entire home, Temple & Webster has a zillion things home. Wonderful product and size. I've had it for about 6 months now and it's perfect. Great clock, looks exactly like the picture. Nice quiet movement and great quality.